In March, Nandamuri Balakrishna’s second daughter was blessed with a baby boy and very recently the infant’s Namakarana (naming ceremony) was held. 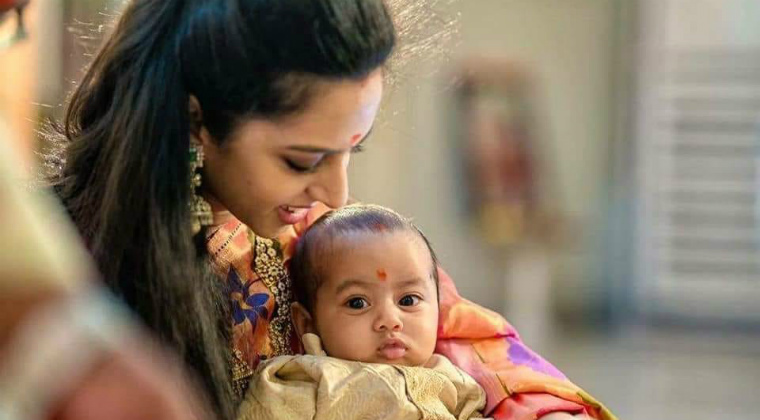 The picture is being widely shared in the social media and congratulatory messages are pouring down for the new parents, Tejaswini and Sri Bharat. Next articleBigg Boss 2: Game or weekend drama?